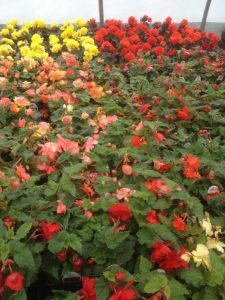 February is CSA signup month! 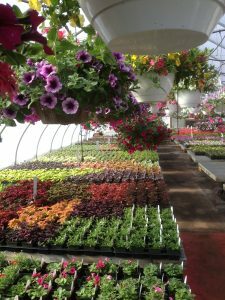 Sunshine Farm’a greenhouse space has grown to accommodate an increased interest in flowering plants, and will continue to grow to meet customer tastes and demands. We continue to adapt to new technologies, while keeping our roots in mind. June is strawberry month with three new acres of fruit this year! July is blueberry month, August is peach month and September is our apple month. PYO strawberries starting June 20, 2017. $2.00 entry per person. (no charge under 2 yrs. old). Hours are 9-4 daily or until picked out. Check our FB page for daily conditions. No dogs allowed on the farm. The farm is a 100 acre diversified fruit and vegetable operation. 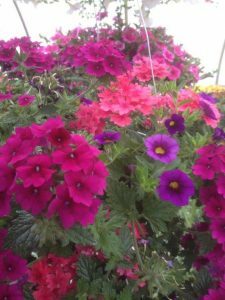 Sunshine Farm is a third generation New england family farm owned and operated by Jim and Roberta Geoghegan. The 100 acre farm offers CSA shares, PYO fruit and Homegrown vegetables in season. We help to educate and train young farmers to learn the evolving technology of modern agriculture. Full season young farmers learn the skills and practices to deliver our crops from seed to harvest each year. 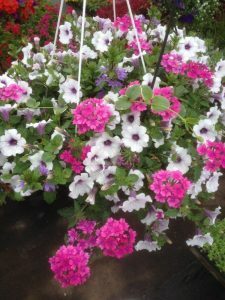 Our season stars in May with bedding plants and Mother’s Day baskets. PYO strawberries in June for the family fun tradition for over 30 years here on the farm! Weekly CSA pickup also starts this month with fresh salad greens. July starts the Sweet corn, tomatoes, peaches and PYO blueberries. August is Vegetable month, prime time for Montuak Sweet corn, heirloom tomatoes,lettuce and cukes And PYO peaches! Fresh flowers bunches and sunflowers! Sept-October- Bountiful fall harvest of Sweet corn, tomatoes, vegies, root crops, pumkins and squashes and PYO Apples! Nov.- Thanksgiving pies! Dec- Christmas trees and marshmallows by the fire! We also carry a unique line of gourmet preserves, salad dressings, cheeses, fresh eggs and Nashoba brook bread. We fresh bake cookies,breads, fruit pies and sweet corn pizza and proudly continue to offer premium hard ice cream at our service windows. Open May- Dec. Bring the family for a PYO outing or enjoy some ice cream and a quiet sunset in a natural farm setting. We decided to go to Sunshine Farm after their ice cream was mentioned in Boston Magazine. I had the bourbon carmel pistachio brittle ice cream and my husband had the coconut brownie cheesecake ice cream. Both flavors were very good. A relaxing little farm and ice cream stand is nestled just a hair beyond the Framingham town line. 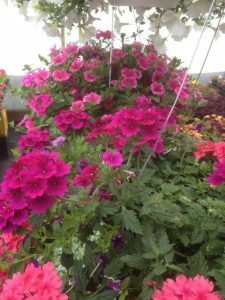 You can find tasty ice cream treats, a small farm store and lots of flowers to choose from. The strawberries were lovely and the service was friendly. The farm opens for visitors at 9 every day and ice cream serves at noon. You can drive or take a nice walk through the farm to the strawberry fields. If you can make it during the week to avoid the crazy of strawberry season weekends – its worth it.